The LSU Center for Computation & Technology (CCT) will host the Beowulf Boot Camp, July 9-13 on the LSU campus. 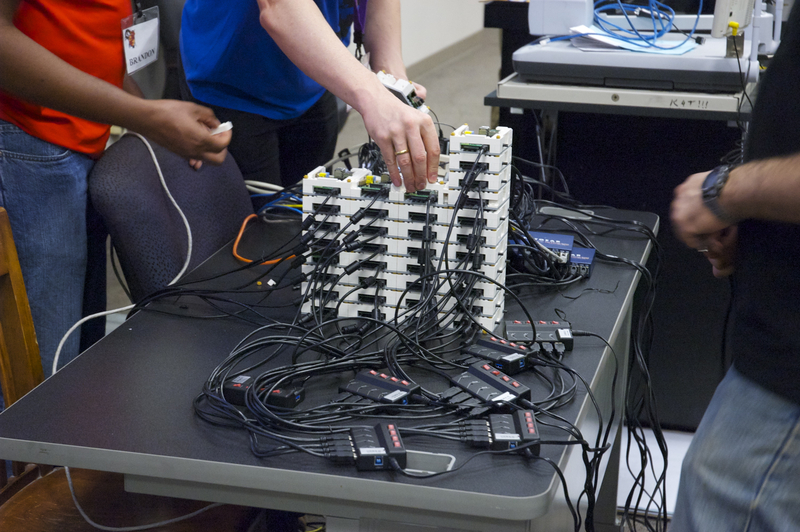 This exciting course offers students and teachers a unique opportunity to work with advanced research technology not usually available in a typical classroom setting. 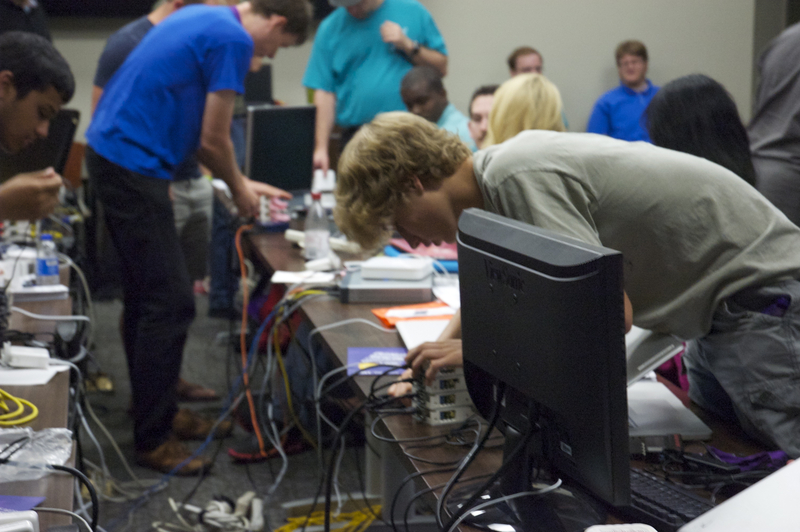 During Beowulf Boot Camp, students will work hands-on with a number of LSU professors as they learn how to build and use supercomputers. Regular participants include: Dr. Steven Brandt, a computational scientist in the CCT who specializes in programming; Dr. Peter Diener, who uses supercomputers to simulate colliding black holes; and Dr. Mark Jarrell, who specializes in the physics of strongly correlated electronic materials which include many nanostructures, high Tc superconductors, and heavy Fermion and magnetic materials. This camp is introductory so students do not need a strong computational science background to participate. Some knowledge of programming a plus. Note to Teachers: The content of this workshop is eligible for up to 25 hours of CLUs (Continuing Learning Units). Participants must comple te the entire course for the full 25 hours. With the certificate and the agenda from the workshop, participants should apply to their parish school board for CLU credits. An individual's school district gives final approval for awarding of CLUs. For more information on the Beowulf Boot Camp and its curriculum, click here for a sample itinerary. REGISTRATION & COST: $130.00. Supplies, lunches and snacks are provided during the camp. Participants are responsible for arranging their own transportation to and from LSU’s campus. CCT will accept participants on a first-come, first-serve basis. Limited seats available so register early. Click here to register! WHERE: Louisiana State University, Digital Media Center, 340 East Parker Street, Baton Rouge, LA 70803. Map it! For questions or special needs, contact Karen Jones at kjones@cct.lsu.edu. For all LSU Center for Computation & Technology summer camp information, visit https://www.cct.lsu.edu/cct-events. For a listing of other LSU pre-college camp offerings visit: www.lsu.edu/camps.